Lent begins in the wilderness. John the Baptist’s ministry is in the wilderness. Jesus begins his ministry by being sent by the Holy Spirit into the wilderness. A dangerous, forlorn place. Yet, this is where Lent begins. This is where the journey we follow Jesus towards Jerusalem begins. In a dangerous, wild and frightening place. Here at St. Andrew’s we follow the Liturgical Church Year. This means that the year is broken up into seasons. The church year begins with Advent, followed by Christmas, Epiphany, Lent, Easter and what is known as Ordinary Time. We celebrate a few other dates in there as well Christ the King Sunday, Baptism of our Lord, Transfiguration, Trinity Sunday and Pentecost. Each season also has a colour associated with it. Advent is blue, Christmas is white, Lent is purple, Easter is yellow, Ordinary Time is green. Helping us keep all this organized is the Revised Common Lectionary. A three-year cycle that carriers us through the major books of the Bible. We are currently in Year B which has a gospel focus with Mark. The readings are often grouped together thematically, though not always. Our Sunday School curriculum is also based on the Revised Common Lectionary, meaning the children are current receiving a lesson on the same passages I would preach on. 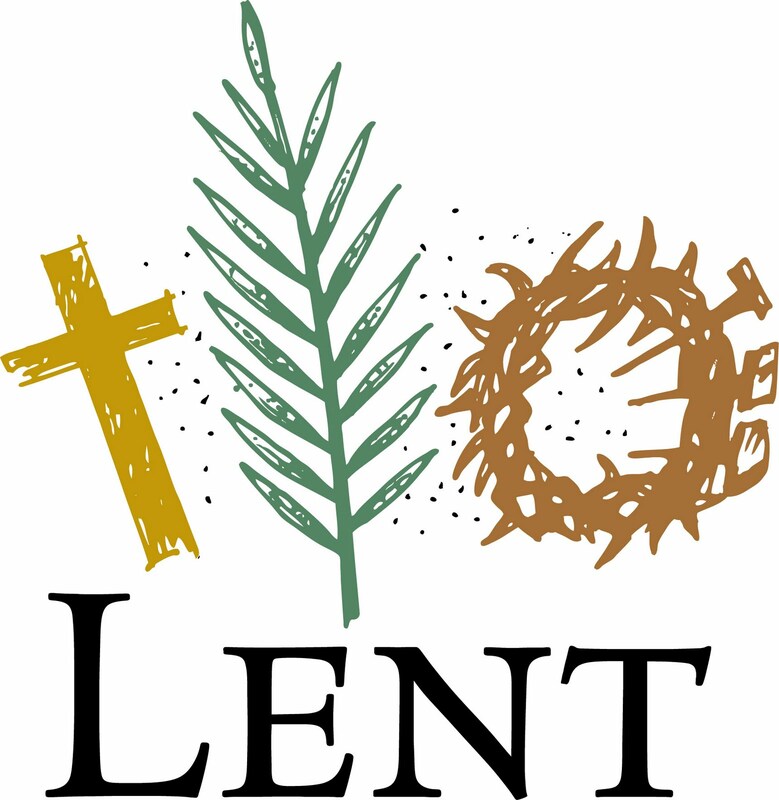 The season of Lent, similar to the season of Advent, is a time of preparation. I often refer to it as the long walk with Jesus to Jerusalem. We prepare for the death of our Lord and then his subsequent resurrection on Easter Sunday. However, we can’t get to Easter without first going through Good Friday and we can’t get there without travelling through Lent. To think, that we should only be uplifted and cheerful in our faith. That we never prepare for those dark moments in life that can overwhelm us. Lent can be a dark time and it begins in the wilderness. John the Baptist started in the wilderness, Jesus started in the wilderness and perhaps we need to also start in the wilderness. Emily Heath writes, “Who wants to go into the wilderness? I’m not talking about camping and hiking; I’m talking about real wilderness here, where we wrestle with ourselves, and our spirit, and our relationship with God. What good is it? You can’t put it on a résumé. It doesn’t earn you any money. It doesn’t really make your life easier; it may even make it harder. So why would you do it?” (reference). The wilderness is a dangerous place. You only go if you have to. It’s not something we voluntarily decide to do. We should note that Jesus did not chose to go to the wilderness, he was sent there by the Holy Spirit. Mark’s gospel is noticeably silent about what happened over those forty days. We know the time frame, we know he was tempted by Satan, we know angels attended him. That’s it. Anything else we know or might presume is us filling in the gaps from what we find in Matthew and Luke’s account of the temptation. Mark offers us no such details. Mark is silent on the events of those forty days. What does the silence found in Mark’s account of the temptation of Jesus tell us about this encounter? Are we tempted to import Matthew and Luke’s account into the temptation narrative? What is the risk of doing so? What is it about silence that frightens us? Do we focus on the fact that Jesus was tempted or that he overcame those temptations? Do we fill the silence in Mark’s account with a list of our own successes? Lent is a time of preparation and it is one that few are willing to embark on. Everyone loves Easter, Easter we can get behind. After all we are an Easter people! Everyone loves a party, not everyone likes to plan and prepare for the party. Lent is the preparation for the party. The wilderness is a dangerous place. You only go there if you have to. We don’t volunteer to enter the wilderness, but sometimes the wilderness comes and finds us. We don’t generally seek out terror, loss, pain or violence. But sometimes those things find us. Sometimes, the wilderness happens. It appears, uninvited and unwelcome. Often in the midst of the wilderness we ask ourselves if we can take it? We wonder if things have become too much. We wonder, is it God’s Spirit which has driven us there, after all this is what happened to Jesus. Does God want us to suffer? No, I don’t believe God wants us to suffer. It also does not mean that God cannot redeem the most difficult and arduous times in our lives. Even deserted places can be holy. Even in the midst of danger and despair we can perceive the divine. Debbie Thomas writes about this sense of redemption in the desert. She writes, “[I am] aware of how Christians have suffered under the false teaching that God authors human pain and suffering for some greater good of his own devising. He does not. But we walk a fine line, nevertheless. Sometimes our journeys with God include dark and desolate places. Not because God takes pleasure in our pain, but because we live in a fragile, broken world that includes deserts, and because God’s modus operandi is to take the things of death, and wring from them resurrection” (reference). God does not abandon us. Jesus being attended by angels should tell us that though the wilderness seems vast, isolated, dangerous and terrifying, God is present there. Whether that wilderness is a literal backwoods, the present situation in our lives, mental, physical, emotional or spiritual anguish – God is present with us. Lent is a time when it is alright to admit that everything isn’t all right, but to acknowledge that we trust in the one who can help make it right. Lent is a time, as are all times, when it is acceptable to struggle with faith and ask difficult questions of God. Lent is a reminder that the wilderness can approach at any time, that it is easy to get lost, but that there is always a guide to lead us back. Lent is a time when we must remember that God claims us as God’s own. Lent is a season for discoveries. A season for doing something new. Together. Lent reminds us that we are loved. Thanks be to God. Amen.